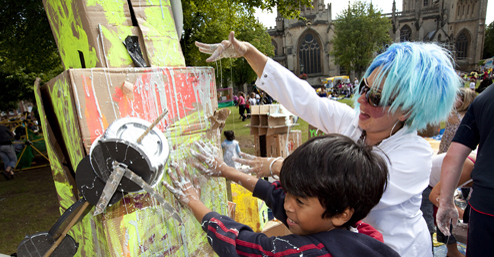 Playday is the national day for play in the UK, traditionally held on the first Wednesday in August. This year’s Playday takes place on Wednesday 7 August 2019. As well as a celebration of children’s right to play, Playday is a campaign that highlights the importance of play in children’s lives. Find out more about Playday. Playday is coordinated by Play England, Play Wales, Play Scotland and PlayBoard Northern Ireland.